HelpHound Blog: Hot News! 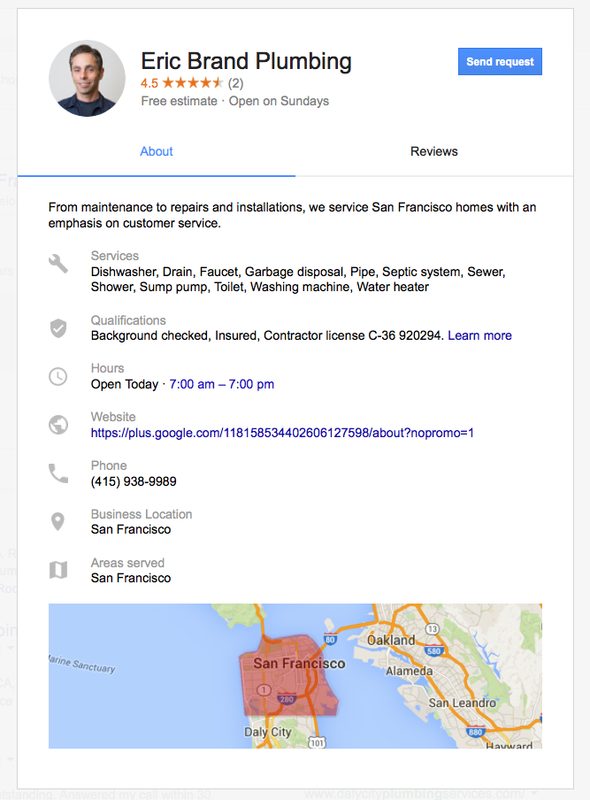 Google move into 'Home Services' - where next? Hot News! 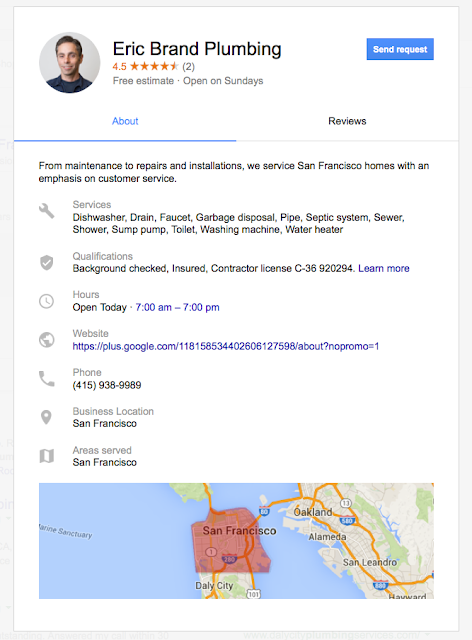 Google move into 'Home Services' - where next? 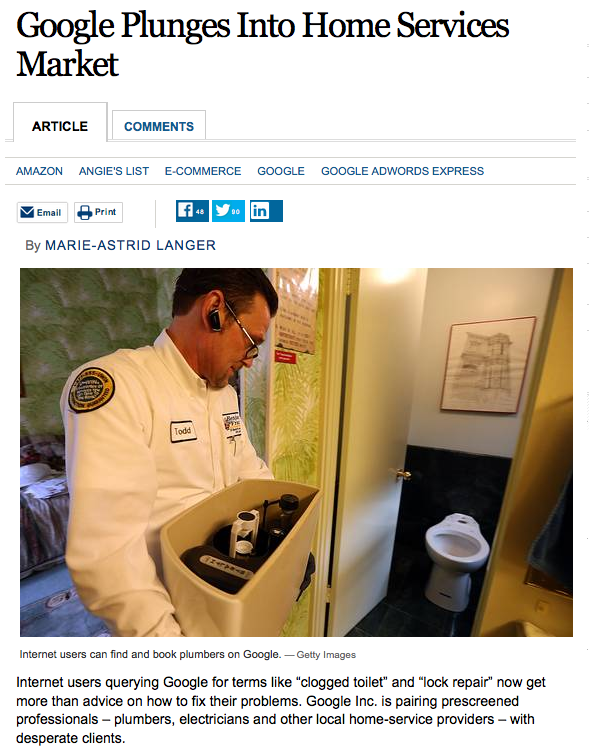 So - we picked the highest rated plumber - what do you think everyone else will do? To qualify, the business must agree to have its staff checked out by Pinkerton, but the most obvious qualification most people will be looking for (and at) will be the business's reviews. It has to be 'high value' businesses and services - outside the home. Even if only so Google's sales people have high-value sales targets. Financial advisers, lawyers, medical practitioners, estate agents, wealth managers, recruitment consultants. 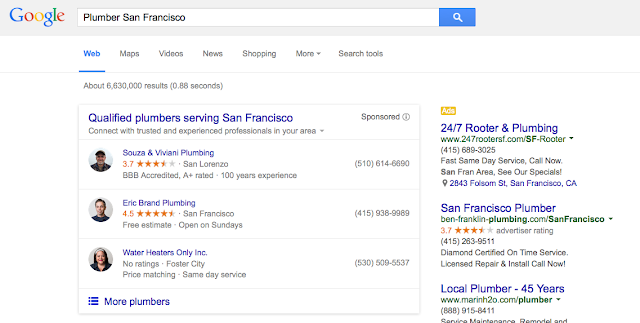 When Google roll this out, both geographically and by business sector, you must be prepared. Carry out a complete audit of your CPC strategy (do you think people will continue to respond to Ads when they have Eric Brand's smiling face and his great reviews front-and-centre in every search?). Get Dialogue motoring to ensure that you have great reviews to show in time for Google to introduce this for your business sector.